Vitamin D is often talked about as an important vitamin that helps the body stay fit and strong, but it could also help in the fight against multiple sclerosis (MS). While there still needs to be more research into the beneficial effects of vitamin D, there are some things to know about its relationship with MS. It can slow the progression of multiple sclerosis. There is some evidence that suggests people with multiple sclerosis who have higher levels of vitamin D in their bodies are likely to suffer less severe symptoms. 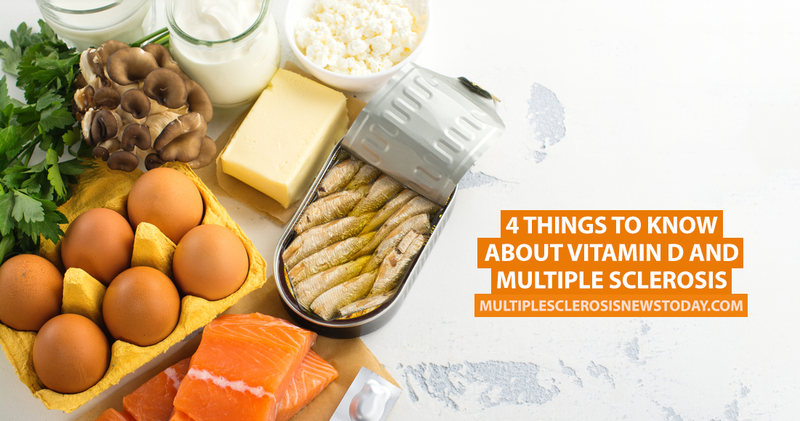 According to Web MD, a study noted the symptoms of a group of people with MS and then found that five years later, those with higher levels of vitamin D experienced fewer problems. While this shows promise, more research needs to be conducted into whether vitamin D can actually slow down the progression of MS.
MORE: Three tips for newly diagnosed multiple sclerosis patients. It may prevent multiple sclerosis. Other studies have found that vitamin D may be helpful in the prevention of the disease. Researchers discovered that children who spent a lot of time outside in the sunshine were less likely to develop the disease later in life. This is also backed up by the fact that the further away from the equator you live, the higher your risk of developing MS becomes, as the amount of sunshine diminishes. To date, no-one is really sure what role vitamin D plays in protecting people against MS. Many think that vitamin D enhances the immune system, making it less likely for a person to develop an autoimmune disease like MS.
A simple blood test can determine your levels of vitamin D. The National Multiple Sclerosis Society suggests that people living with the disease get between 200 and 600 IUs (international units) a day. How can you improve your vitamin D intake? You can either take a supplement (if recommended by your healthcare team), spend 15 minutes each day in the sun, or eat more food containing vitamin D such as oily fish, beef liver, cheese, eggs and foods fortified with vitamin D such as cereals, milk and orange juice. MORE: How our bodies convert sunlight into vitamin D.
Tagged managing MS, MS prevention, MS symptoms, sunlight, Vitamin D, vitamin D and MS.
That is a not a recommendation for a person with MS. That is the ancient recommendation for people without MS and is too low. My fiancée developed optic neuritis and had many lesions, several active, in her MRI. She tested negative for Lyme twice. Three different neurologists in respected hospitals said it was not NMO. 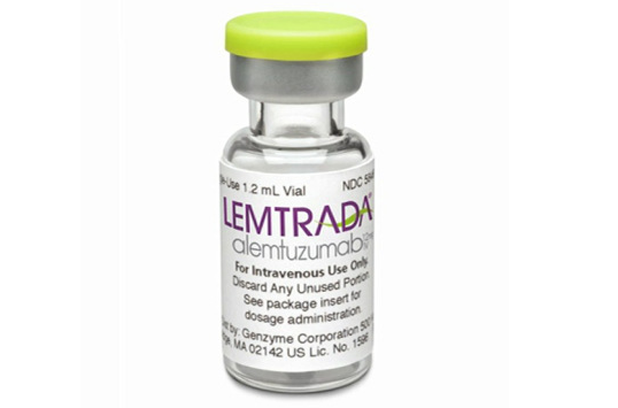 After the steroid treatment, we put her on 10,000 IU of Vitamin D a day and administered Minocycline for two months. We changed to a Mediterranean diet and eliminated dairy, sugar, and starches including all bread (white and wheat). We started to train, hard…boot camp hard (no easy strolls or light cleaning around the house). We added high dose biotin and alpha-lipoic-acid; we then added bio-identical progesterone. After six months, we raised the Vitamin D dosage to 20,000 IU a day plus three liters of water. In over two years since we started this journey, NO NEW LESIONS and NO SYMPTOMS…and no INEFFECTIVE and TOXIC MS (DMDs) medicines. I believe that MS in many ways, if corrected early, could be like Type 2 Diabetes…a cheaply treatable disease. Unfortunately for the patients, MS and Type 2 Diabetes are huge moneymakers for doctors and Big Pharma. If you doubt this cynical view, just ask yourself, why have stem-cell treatments not been approved by the FDA despite the incredible success that these procedures have had with very sick MS patients? The answer is…Big Pharma wants your dollars many times, not just once. Many articles talk about “toxic doses of Vitamin D” and “risky stem-cell surgeries” while there have been thousands and thousands of MS patients that have developed PML, cancer, organ failure, skin necrosis, or just died because of these INEFFECTIVE and TOXIC MS DMDs. Not to worry, Big Pharma pays the doctors off through compensated “speaking engagements” and “conferences” in Aruba, Jamaica, and Hawaii plus new high-end vehicle “awards”…then the doctors push the DMDs on the patients as an “acceptable risk” with all other treatments portrayed as snake-oil or just weird. The medical profession in the USA and some national MS organizations suffer from ethical inflammation caused by large dollar inflated Big Pharma. Meanwhile patients suffer from physical inflammation brought on by poor diets and a sedentary lifestyle and exacerbated by bad or no medical lifestyle advice; a shortened miserable life with depleted bank accounts is often the consequence of the above. How did you get your doctor to prescribe the minocycline? The doctors were pushing Tysabri on my fiancée as she had several active lesions; she and I researched it and found it to be ridiculous risk. I cannot believe that Tysabri has been approved and stem-cell procedures for MS have not but I will leave that for another posting. I researched every day for hours and became more and more familiar with Pub-Med and Multiple Sclerosis News Today. I came upon Dr. Luanne Metz’s work in with Minocycline in Canada and read about its anti-inflammatory effect in the brain. I contacted Dr. Metz and confirmed that this was a viable treatment option. I understand that she has recently published her full study. Since Minocycline is a pretty safe medicine, my fiancée and I presented Dr. Metz’s work to our neurologist and he gave us the script. We hoped that it would put out the fire in the brain and it seems to have helped. Thanks for sharing. My daughter and I were both diagnosed last year. Yay 2017. She is on Gilenya and I am trying a diet/exercise/supplement approach. Hoping it works for me and she will be inspired to give it a try. Also researching constantly. I have read good things about minocycline. Always more hopeful when I hear about others gaining control without the dangerous meds. Hoping your fiance is still doing well. Hi, how is this working for you? I have had MS since I was young but diagnosed in 2011 due to getting seizures(had a stressful year). My brain is lit up like a Christmas tree but little to no symptoms. I did get my vitamin D tested and I’m at 45ng which is great! Think vitamin d is what is keeping me pretty much symptom free.i guess you could say I’m on the “vitamin d diet”. I worked as a scientist for Lilly. (About twenty years ago) they said “Don’t bring us an idea for a product if it brings in less that $500 MM/yr”. They justified that amount based on the cost of developing a new product. That price also includes those trips to HI and Aruba I’m sure. Thank you for your informative post! How is your fiance doing now? I am wondering if you can give the specific brands and manner of the supplements you used…biotin, alpha lipoic acid, vit d. I Ann so worried about taking something that is junk! Also how food yout get the dr to prescribe they progesterone and why did you choose to use it? Thank you. Amazon sells D3 50,000 iu I take 2 a week. Saved my life. As long as I eat well, sleep well, and take high doses of vitamin D I can maintain my health. Such a difference from barely being able to walk a few years ago. My level went from 9 to 80’s. I have my life back. And I feel great. I check my level regularly. And I still take Tesfederra. Do you also take a Lipoic acid. My doc says I should and I’m confused on the types. What is optimal vit D level for those with the MonSter? No, it is not…yoga can be part of a treatment but not the central part. Hard exercise is the only thing proven to nurture new brain cells while tempering the immune system. Your serum level should be at least 60ng/ml. This is the level associated with the least risk of multiple sclerosis, breast cancer, colon cancer, endimetrial cancer, preventing diabetes, end stage renak disease and more. The average person needs at least 5000 iu’s per day of vitamin D 3… not presciption D 2 which is only 30% absorbed. 15 minutes in the sun to get my vitamin D fix? Naked? Fully clothed? i take 10,000 iu of d3 each day. this is not a recommendation, since i am not a doctor. i could probably take less, but much more might wreck my kidneys. my thought is that i probably take the maximum advisable dose. not a doctor, just my perspective as a patient. You are completely correct Hercules. Bravo to you. I take 10,000 a day and sometimes a little more. i have very little ms symptoms now. Thanks so much, Heracles! I’m going to cut and paste your words and save them! I hate being on the medication, and I take D3 once a week but my numbers aren’t high enough. I don’t like the sound of no dairy, but this is my life I’m fighting for. I was diagnosed in 2017. I have had my main symptoms, urinary incontinente (90%) and balance issues, for nearly 20 years. I had a very large kidney stone at the age of 29 and told that my incontinente issues were directly related to this, oh and by the way, you will continue to produce the stones as you have a chronic kidney disease. End of story. Until I had my first notable exasperation in 2017. I have always been conscious of my health and have taken many different supplements over the years, of which Vitamin D3 5000iu daily is just one. I truly believe that this is what kept my MS at bay. A few months ago, my doctors started telling me that my levels were too high (83) and to cut back. I can honestly say that I’m not getting stronger, but weaker and my symptoms feel like they are here to stay. After reading this article, I’m going back on my 5000iu daily. I’m the one that pays the consequences…. and I’m going to be my own guinea pig. Hello, would someone be able to recommend a specific brand of vitamin d and what kind? I don’t want to end up taking junk. Thank you. Look at the work of Dr. Cicero Coimbra and his work with vitamin d and multiple sclerosis patients, also Coimbra Vitamin D Protocol facebook page. Thank you for this very interesting article and comments. I was diagnosed in 2005. I probably had it long before but really had no typical symptoms except for MS hugs which I had no idea what they were, and neither did my internist which he figured with muscle contractions or cramps. I woke up one day with a symptom called transverse myelitis and I knew what it was right away because I have a daughter that was diagnosed three years before and that was her first major symptom. A spinal MRI showed 2 lesions. A Brain MRI showed a number of lesions all inactive and probably old. I have been on Copaxone for going on 13 years. I started taking vitamin D3 longer before that because I went on a low carbohydrate diet and I felt I might not be getting all the vitamins that I need. I started taking more D3 after MS Dx 𝙋𝙡𝙪𝙨 a lot of individual vitamins which I still take.One thing to remember is that taking vitamin D3 pill may add up when some of the other supplements may also also contain vitamin D3. For a while I was taking maybe an average of over 6000 IUDs today. I did a lot of reading and joined the Vit D Council to get the emails and a few MS groups online.I should also add that living in upstate New York, we don’t have a lot of sun here and for at least six months out of the year I am well covered and don’t go out much. As I’ve gotten older I Spend even more time inside esp in cold weather. I had never had my vitamin D tested And I think it was probably normal. I also took Calcium and HRT with my other suppliments. I joined the vitamin D Council which is interesting and I found some very interesting information on vitamin D there. I asked my internist test my D3 levels. He called me in panic mode because he was very concerned that I was almost at toxic levels. So he said cut it all out all the vitamin D3 supplements with D3 and wait a month or two and get retested. I did and my levels came down to high normal. I don’t have the reports right in front of me. Then I upped my IUs A bit and I also found a really interesting article saying MS patients can really take up to 10,000 a day. I sent this to my doctor And he said OK well do what you want which is when I updated the amount of D3 bit. I have cut down a bit now for a while. I’m taking now about 2000 IU or so a day including the D3 that comes in my calcium pills. I had not had an MRI since 2007 because my doctor at the time felt I was doing so well on the Copaxone said he didn’t think I needed an MRI. My Biggest symptom is probably over active bladder but I had five children and I am aging and I always thought that was par for the course..
Last year I started to see an MS specialist ( My former neurologist was not a specialist,)and had a new MRI of my brain last April.The lesions were all inactive as they had been in 2007. And I am considering coming off Copaxone after my next brain MRI this April. My daughter who is out in the sun all the time and lives in a sunny state has come off her medication because her doctor there has said she is doing so well and doesn’t need the medication and as long as she has regular MRIs every six months. I have read articles of late saying once you’re over 70, and have been on medication for at least 12 years, the chances of MS progressing is unlikely. So I am considering giving that a trial after this April. My neurologist says it is my choice. It’s very unclear if somebody is doing well and taking vitamin D3 and Other vitamins how much other factors are also involved in whether MS progresses or not. I think it’s a very individual situation. My daughter has been off medication for three years and doing very well and she says she feels it being in the sun as much as she is has been a big factor and taking D3. 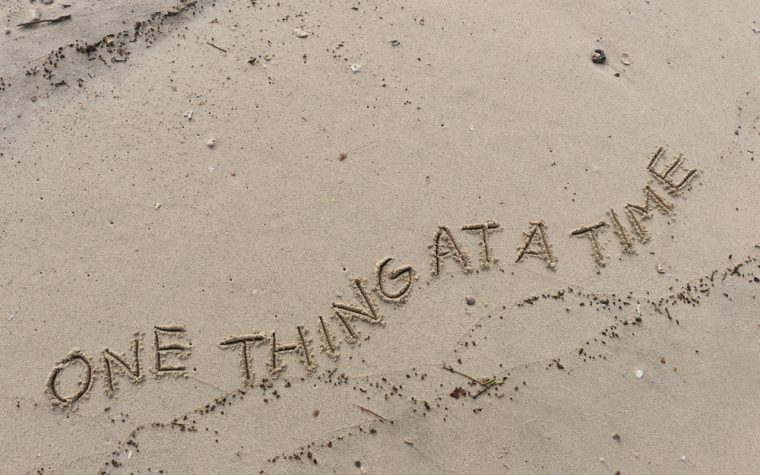 Maybe it is maybe it isn’t. How much other factors are also involved in whether MS progresses or not I’m not so sure about. I am sorry for the long rant. There may be errors but it’s tough using a Mobil phone and hard to gather my thoughts this way.